He has made a study of horror and mystery fiction and film throughout his career, focusing on tropes, story arcs, ideas, history of the genre, and how it impacts readers today. He has written articles, essays, and dissertations on the subject and has presented his theories and findings during various conferences and conventions. 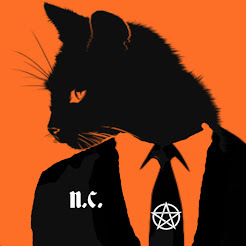 In his free time N.C. enjoys reading horror and mystery fiction, watching horror and mystery movies, hiking, and (most of all) playing tabletop war games. His love of reading horror and mystery-themed books as a child inspired him to start writing. Additionally, his appetite for movies helped drive his passion. Some of his favorite horror movies include House on Haunted Hill, The Screaming Skull, Night of the Living Dead, The Shining, Casablanca, and many more classics. Get the latest updates by following along on Facebook, Twitter, Instagram, and Amazon.